At 0.55 carats in weight, the round shape of this fancy diamond makes it an obvious candidate for a ring, but it would suit other pieces of jewelry too. It has a deep rich tone, with hues of brown and yellow. 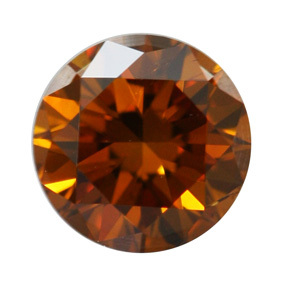 The orange diamond has SI2 clarity as graded by the GIA.